Around 8,000 years ago, during the Neolithic age, humans moved from nomadic hunting and gathering to owning property and growing and raising their own food. Before this occurred, obesity was virtually nonexistent. 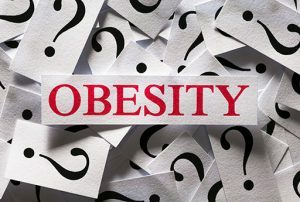 In our modern age, every civilization struggles with obesity, according to Dr. Simeons, and only relatively recently has it moved from being a desirable condition that indicated prosperity and wealth to being regarded as a medical condition requiring treatment. Before people began to set down roots and produce their own food in large quantities, they were mostly foragers and ate small portions wherever they could find food. If they encountered wild berries, they would eat their fill before moving on to a hunt or continuing their search for edible plants. The food these people consumed, with the exception of meat, was generally raw and completely unrefined. With the advent of farming and raising animals for food, humans became more sedentary, and they began to consume larger amounts of food on a regular basis. Regular meals became the norm, and as such, humans began consuming more fuel than they needed to survive. According to Dr. Simeons, the digestive tract of omnivores, which includes humans, is designed to accommodate the continual consumption of small amounts of food, which is how pre-Neolithic humans ate. As such, it wasn't made for gorging on food, and certainly not three times a day. When we started eating regular meals, it placed a large burden on our body's ability to use all of the fuel coming in all at once. Instead of eating a little at a time, humans began consuming regular meals that were sufficiently large enough to tide us over until the next meal, but which provided more fuel than the body could handle. Since the dawn of mankind, food shortages and malnutrition have occurred on large scales throughout history. Once the technological advances of the 18th century occurred, the food supply increased and became more widely available. Initially, this improved public health. People ate a variety of high-quality, little-processed foods, and it helped to increase our collective life span. But it also increased our body size, and after World War II, an abundance of easy-to-access food became available, much of it heavily processed. At the same time, physical activity was increasingly reduced, and obesity became less associated with wealth and prosperity and more associated with poor health and mortality due to the high prevalence of hypertension, diabetes, and heart disease stemming from large amounts of poor-quality, processed foods. Today, over 68 percent of American adults are considered overweight, and over 35 percent are considered obese. Around 6 percent of American adults are extremely obese. The current epidemic has much to do with vastly larger portions than we consumed just 30 years ago as well as the boom in fast food consumption, which currently accounts for 11 percent of the American diet.